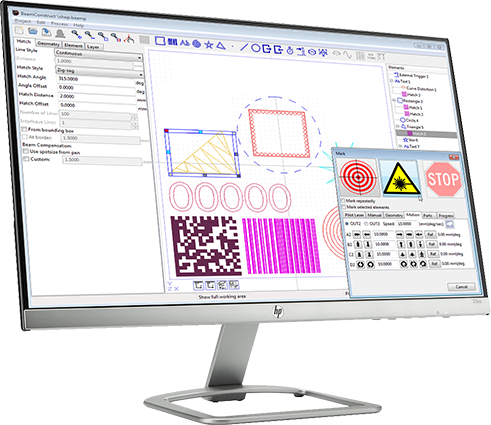 BeamConstruct is an integrated, stand-alone laser marking software solution for nearly all kinds of laser scanner and laser CNC applications. It can be used for laser welding, cutting, engraving, marking, natural branding as well as for rapid prototyping / SLS / 3D printing. application created using the OpenAPC software package. So laser marking projects generated with this application can be integrated seamless into existing machine control, there is no need to run the CAD-interface of this application within a production environment just to process some laser data.